Imagine living in a place where you can enjoy the serene beauty of rural areas, the fruits of farmland, and the excitement and bright lights of urban life. That’s what Waterloo, IA offers to its residents. This ‘not too big, not too small,’ city delivers the small-town charm of running into friendly faces at your favorite grocery store and the joy of meeting new friends at your workout class. Discover why Waterloo, IA is known for being one of the most affordable and diverse cities in Iowa by continuing to read below. Waterloo, IA real estate offers something for everyone, from luxury and modest detached family homes to farmland and untouched residential land. If you’re looking to live within the city limits, you’ll find a variety of home styles to fit almost every budget. Single-story and Rancher homes with vinyl siding are commonly found in quiet neighborhoods along with two-story brick structures. These homes feature plenty of parking with enclosed garages or carports and street parking. Suitable for families with multiple bedrooms and bathrooms and comfortable living spaces. Whether you’re looking for your next project or a turn-key home, you’re sure to find the right home for sale in Waterloo. Luxury homes for sale in Waterloo often have beautiful brick exteriors with manicured yards and plenty of parking. The interiors of these homes are equally as striking. Bright, open living spaces, multiple bedrooms and bathrooms, and elegant touches are just some of the features that make these homes so desirable. If you’re looking to build your dream home from the ground up or invest in fertile, workable land, rural Waterloo has plenty of options for you. Waterloo has been noted as one of the best places to live and work in the state of Iowa. It’s also been ranked as a great place to start a business. So, it should come as no surprise that there are excellent opportunities to invest in Waterloo commercial real estate. Enjoy living in a ‘not too big city’ without compromising the amenities. Waterloo offers a variety of grocery stores, fitness centers, parks, libraries, coffee shops, restaurants, and shopping centers. If you’re keen to be greener, enjoy the conveniences of Waterloo’s Metropolitan Transit Authority. Waterloo is a great place to raise a family with 19 public schools, 8 private schools, and 4 post-secondary schools. The people of Waterloo put a focus on their health and well-being. Most people invest in health insurance and place an emphasis on living a healthy and active lifestyle. The city recently introduced “Healthy H2Loo,” integrative prevention and early intervention program that supports childhood obesity prevention by educating students, introducing school gardens to produce healthy foods, and including physical fitness in class time. Part of being a great place to live includes being a great place to work. Waterloo has a thriving economy and a high employment rate. Waterloo has been marked as one of the best places to start a business. There’s no limit of can’t-miss things to do. Traditional 4th Street Cruise: delighted crowds for decades. People of all ages line the streets to watch as classic car enthusiasts drive their extravagant and classic cars down 4th Street. Waterloo Center for the Arts and Phelps Youth Pavilion: All ages can explore their artistic side. Hotspot for weddings, open houses, and birthday celebrations. 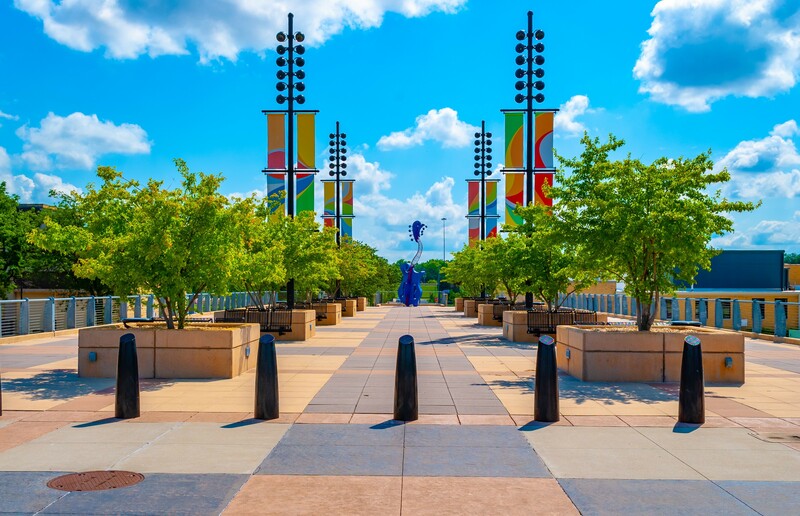 Grout Museum District: Learn the rich history of Waterloo including the Sullivan Brothers Iowa Veterans Museum, Grout Museum of History and Science, Bluedorn Science Imaginarium, Russell House Museum, and Snwden House. Friday’Loo: Unique and exciting experience hosted by Main Street Waterloo at Lincoln Park in downtown Waterloo. Typically beginning towards the end of May. Local bands perform for the crowd while food and beer vendors sell their goods. Admission is free and it allows the community to come together and have a good time. If you live in Waterloo, you may have heard the phrase, “It’s hockey time in Party Town!” Coined for the Waterloo Black Hawks, a United States Hockey League team that plays at Young Arena in downtown Waterloo and have made it to playoffs numerous times and won the coveted Clark Cup. In the Black Hawks off-season, head out to the newly redesigned Riverfront Stadium to catch the Waterloo Bucks baseball team, part of the Northwoods League and Waterloo since 1995. Does Waterloo, IA sound like the place for you? Contact the Fischels Commerical & Residential Group to put their knowledge and experience to work for you today.